This might be the single best blog entry I’ve ever read. Way to go Kristin Lamb! And kudos to the guest blogger, Alex Limberg. Over the last several months, I’ve had the great pleasure of publishing ten guest posts here on Kristen’s fine blog. They were posts about all kinds of technical writing topics like characters, action scenes, how to introduce information, plot, etc… (look them up). But for my eleventh post today, I thought it was time to switch gears. 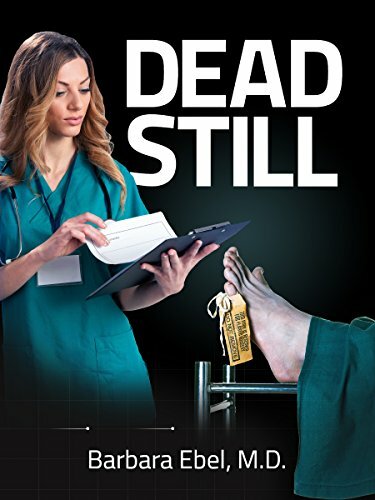 New Release – Dead Still by Barbara Ebel, M.D. Re-blogged from Ch’kara Silverwolf. New medical mystery by this fantastic author! I have a new release for you from my friend Barbara Ebel for her new book Dead Still, which is a spin off of the Dr. Danny Tilson novels. Dialogue. It can really help your story, or… it can hurt. She’s baaaaack. Well, sort of. Today I have an extra special treat. This is going to sound super conceited but whatever, it is MY blog 😛 . But first lemme caveat with this. I feel I DO have a knack for predicting the next big thing. Case in point, in 1993 I was at an air show and there was an unknown all-female band I chatted with because no one was really over there. I loved their unique sound and gushed over how one member employed the banjo (an instrument forgotten at that time). I told them I was sure they were going to be the next biggest thing in country music, and even bought some of the cheap merchandise they sold to support their music and prove I meant what I said. That little band was The Dixie Chicks. In this era of wifi and amazing take-it-for-granted technology, some may not remember typewriters. Many of them were clumsy things. Okay all of them were. If you hit two letters too closely together, the keys would “stack up” and you had to push them back down and try again. And I won’t even get started on manual typewriters. Yes, we had electricity, but at one time all typewriters were manual. How barbaric! And correcting errors, well, it was just best not to make any mistakes. Of course IBM came out with a typewriter that used a little ball instead of individual keys. No more stacking up of keys. Those were faster. I wanted a typewriter when I was in the seventh grade. I’ve always liked machines and I thought being able to type would be grand. So being the spoiled little girl that I was, I announced to my parents that I wanted a typewriter. You have to realize, that was a radical idea at the time. Several people told my parents I was too young to learn how to type. Just too young, they said. I wouldn’t be able to learn the “correct” way to type and that would be worse than not typing at all, they said. There were many and varied reasons why they discouraged my parents from getting me a typewriter and I admit I was a little worried. I’m not sure when I first heard the story of my mother not being allowed to take typing class because she was a “farm girl”, but it stuck with me. You see, my mother was raised on a farm. Her daddy farmed for a living. He actually did a lot of things for a living back in the red clay hills of depression-era Louisiana. He began as a sharecropper and eventually had some land of his own. They had six children and all of them had to help with the farm work. They milked cows, fed pigs and chickens and gathered eggs. And when the crops came in… they helped with that too. Oh, and cotton, yes cotton was king back then and a cash crop for my grandparents. My mother says that to this day if she drives past a cotton field, her back hurts. We’re surrounded by cotton fields here. Education was always very important to my family. Neither of my grandparents finished high school. They had to work in order to eat. They were very proud when their children graduated high school. Granddaddy sold a cow to buy my mother a graduation ring. In fact, I think he sold a cow to buy every one of his children a graduation ring when they graduated. My mother’s ring didn’t even have a stone in it, but it was very pretty. I wish I had it now. This brings us to the typewriter story. In high school my mother wanted to take typing, but there was a problem. There were six girls and only 5 typewriters. The school told her she could not take typing because she was a “farm girl”. The precious typewriters were reserved for “town girls”. I can see their logic. “Town girls” had a better chance of getting a job where they might have to use a typewriter. “Farm girls”, not so much. I cannot know how she felt when the “town girls” went to their typing class, but I imagine she felt like a second class citizen. I don’t think my mother ever truly got over that. When she graduated, she went to work as a waitress. She rented a room from a lady in town and worked at the one and only local café. It worked out okay, because that’s where she met my daddy and that was a very good thing. She was a housewife until I got to high school. Then she worked at a cash and carry store and later a bank. She answered the switchboard and enjoyed it. She had opportunities to move up at the bank, but she turned all of them down. She worked many years on the switchboard. All those years and she was only held up once. But in all those years, she never had a typing job. Only a handful of times did she mention the typewriter. She could never move into a position that required her to type. I offered to teach her, the bank offered to send her to a typing class. She always refused. I wonder if she ever wonders what her life might have been like had she learned to type. “Water under the bridge” as they say. Oh, I got my typewriter. My daddy also bought me a record and a book so I could learn to type properly on my manual typewriter. Yes, it was pretty radical back then. Not as radical as a “farm girl” learning to type, but pretty radical. I have made my living using a keyboard. Yes, typing.